Purpose: Use this document to make changes and/or updates to employee's choice of Ethnic Group(s). To delete ethnic choice, click on trashcan. 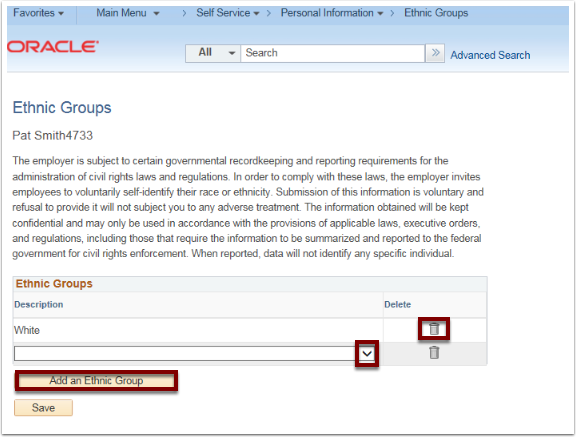 Click on Add an Ethnic Group button to add row. Click on drop down tab for listings to choose from.